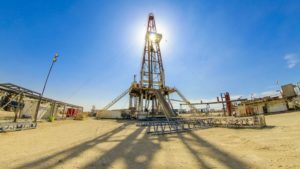 Russia’s LUKOIL commenced drilling new production wells at West Qurna-2 field, corporate web page reported. Current contracts envisage drilling 57 production wells (54 at Mishrif formation and 3 at Yamama formation). Production at West Qurna-2 will subsequently grow from the current 400K barrels per day to 480K by 2020. LUKOIL employs cluster drilling, erecting two rigs at one well pad. This approach is new for Iraq and will ensure significant field development speed and production growth. For the project, over 500 local residents will be employed. West Qurna-2 field is located in the South of Iraq and is one of the world’s largest oil fields of about 14 bln barrels of initial recoverable reserves.